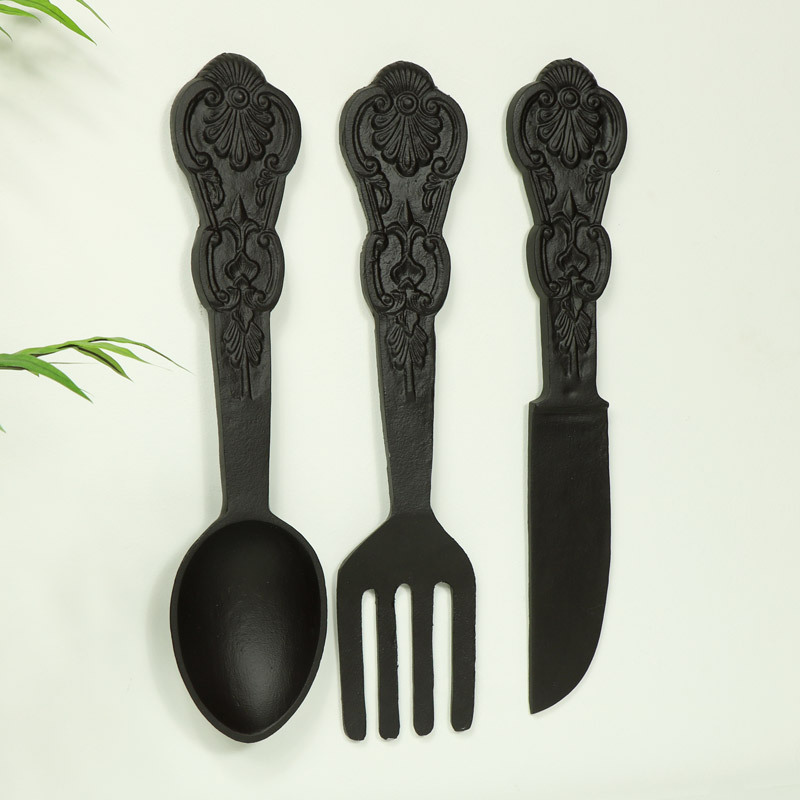 This Large oversized black metal cutlery set is perfect wall decor for a kitchen, dining room or for use in a restaurant or bistro. This has a vintage inspired design and is also available in silver and gold. Ornately designed with a Baroque style pattern on the handles. Features a knife, fork and a spoon. This will make a fantastic gift idea for the chef of the house. 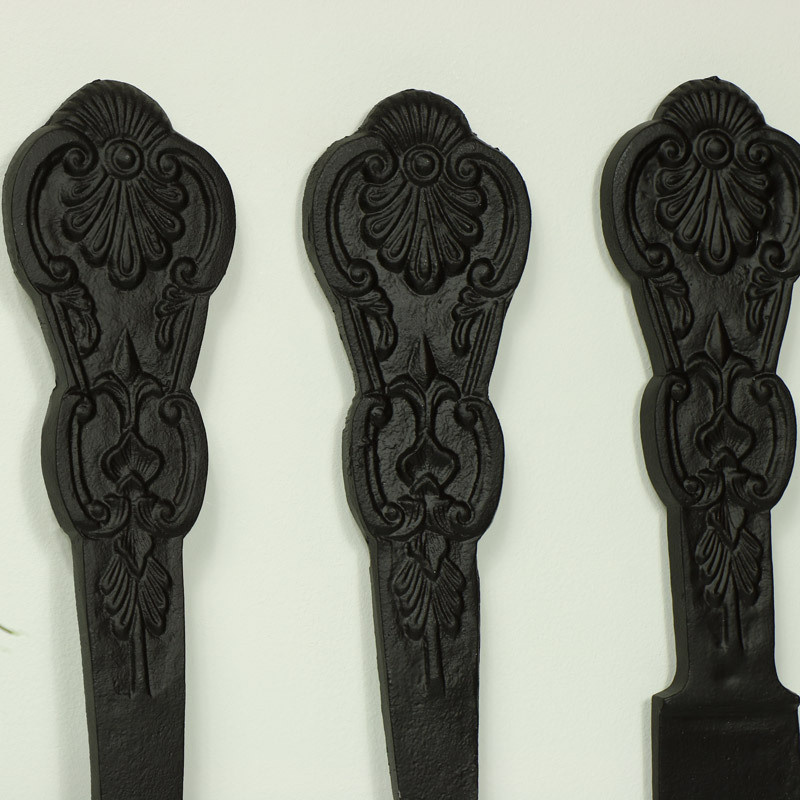 This Large oversized black metal cutlery set is perfect wall decor for a kitchen, dining room or for use in a restaurant or bistro. This has a vintage inspired design and is also available in silver and gold. Ornately designed with a Baroque style pattern on the handles. Features a knife, fork and a spoon. This will make a fantastic gift idea for the chef of the house. Made from metal in a black finish. 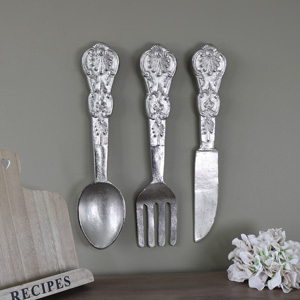 Easily wall mounted with hooks on the back for hanging.